Natural Gas Drilling Boom: Will It Contaminate Our Water Supply? Lighting tap water on fire. Do not try this at home. My friend screened the documentary film, Gasland, at her home last night. I sure didn’t sleep well [note to self: watch potentially disturbing documentary films during the day; light comedy at night]. When filmmaker Josh Fox is asked to lease his land for natural gas drilling, he embarks on a cross-country odyssey uncovering a trail of secrets, lies and contamination. Personal stories highlight the hazards of the controversial “fracking”–a means of extracting natural gas from the earth–and how it renders tap water undrinkable and sometimes flammable; unleashes toxic components into the air; and, not surprisingly, causes serious health issues. Hydraulic fracturing for natural gas is one of the country’s biggest environmental and public health challenges in history. The 2005 Energy Bill exempted the controversial hydraulic fracturing from the Safe Drinking Water Act [passed in 1974 to ensure clean drinking water free from both natural and man-made contaminates], which allowed the natural gas industry to unleash a massive 34-State drilling campaign. Essentially, the provision took the Environmental Protection Agency (EPA) off the job. It is now commonly referred to as the Halliburton Loophole. Host a public screening of GASLAND in your community. Contact your local officials and let them know you support the FRAC act. Click here to make it easy. Share this post via twitter, facebook, or shouting from your rooftops. Find a local organization fighting the natural gas drilling from destroying our neighborhoods, our water and our health. Check out action alerts in your area and find out how you can get involved today. Share your story whether it’s about leasing, drilling, downstream water or sleepless nights worrying. The filmmakers will share these stories with Congress. Your story also serves to help others learn from your experience. Sharing is caring. Knowledge is power. 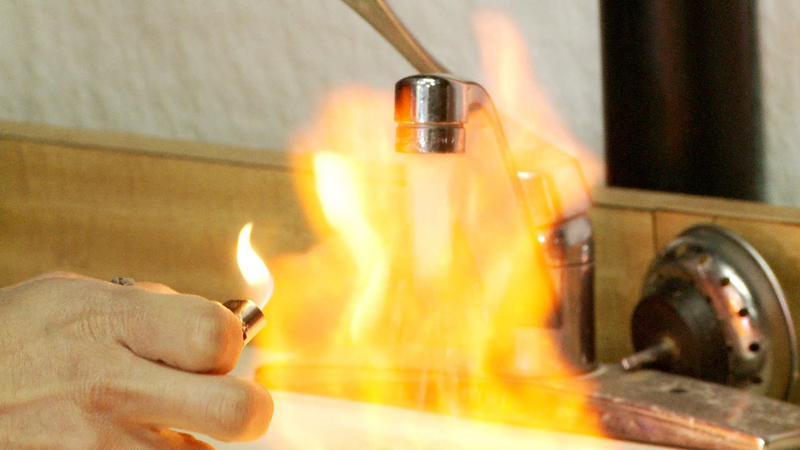 If you live near a gas drilling operation, be sure to test your water. (Lighting it on fire is not recommended). More fracking information about–you guessed it–hydraulic fracking. Also joining the chat: Dusty Horwitt, Senior Counsel and author of EWG’s 2010 natural gas drilling/fracking report, Drilling Around the Law, and Don Carr, Senior Policy & Communications Advisor. Lynn Hasselberger: Was fracking a practice prior to 2005 and, if so, for how long? Was the impact greater because of the Safe Water Act exemption or was it going on prior? EWG: Fracking was first used in the late 1940s and has been used more frequently since then. The industry estimates that 90 percent of all oil and natural gas wells are hydraulically fractured. The practice was always exempt from the Safe Drinking Water Act, first because of EPA’s interpretation of the law and, since 2005, because Congress explicitly exempted the practice by statute except for fracturing with diesel fuel. It is unclear whether the impact was greater then or now because few if any studies have been done on fracking. What we know is that fracking has become more intensive with more fluid being pumped into wells requiring more equipment and more impacts. Lynn Hasselberger: Your film made me lose sleep last night. Josh Fox: I lost a lot of sleep making it. But what was worse was being inactive about it. When I was sitting at home not knowing what was going to happen that was a horrible sinking feeling. But being involved helped that. The best thing about doing this project has been the involvement I have had with all of the people who are doing an amazing job working on this issue. Lynn Hasselberger: The wastewater, after doing a fair amount of onsite damage, is then shipped to a wastewater facility. What happens to it there? Josh Fox: The wastewater goes every which way. Some treatment facilities accept it, but there are not enough of them. There are the evaporation sprayers you may have seen in the film, where the waste is sprayed into the air to evaporate. But my suspicion is that alot of it is being dumped out illegally. The numbers don’t add up and I have witnessed and heard many reports of illegal dumping of gas drilling wastewater. I am advising the EPA on enforcement issues and techniques related to this. It is one of those mysteries that needs to be solved. EWG: Disposal of wastewater is a huge problem. This water can be contaminated with toxics such as benzene and must be disposed of properly. 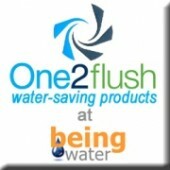 Companies dispose of water that comes out of the well in several ways. Some of the water is dumped in waste pits on site. These pits can be lined or unlined, but even lined pits can leak or overflow. Companies can also take the water to central waste disposal pits. They can take the water to wastewater treatment plants that generally are not equipped to handle drilling waste. They can also inject the water into underground disposal wells. The film is being shown on HBO and will be available for purchase December 2010. IMPORTANT NOTE: Groundwater Protection Council, often cited in article “Debunking Gasland,” funded in large part by gas industry. For more information, check out EWG’s 2010 report, Drilling Around the Law: http://www.ewg.org/drillingaroundthelaw.